Diet – You are what you eat. In this case, your lash conditions are partly what you choose to put in your mouth. Get a good balance of vitamins, minerals, and other helpful components not only for your general health but for excellent hair, skin, and nail benefits. 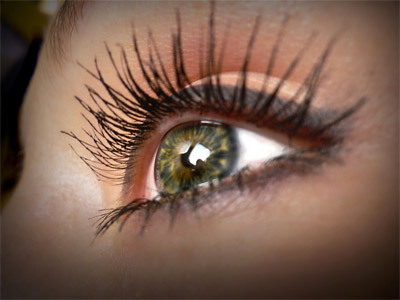 Your lashes are primarily made up of keratin, which can be sustained through high-quality protein consumption. Lash care and brushing routine – We think 100 brush strokes work for scalp hair following the same principle. It’s recommended to lightly brush your lashes twice a day using a professional lash brush, an act that stimulates and distributes your own natural oils throughout the lash area. Proper care also entails removing eye makeup thoroughly but gently every night, and never use eye cosmetics that are beyond the ideal number of months and have been contaminated. Eyelid massage – This will get the blood flowing and assist in stimulating eyelash enhancement. With clean hands, mildly use your fingers to massage along the edge of the eyelids and lash line. Olive oil – This will help lengthen and protect your lashes, as well as condition them every day. Apply the oil to your lashes every night before going to bed. Remove it in the morning before your daily makeup. Green tea – This isn’t just a favorite health tea but also something to benefit your lashes in the long run. Get cooled, unsweetened green tea and apply it using a cotton ball. It is rich in epigallocatechin-3-gallate, a flavonoid that is chock-full of antioxidants. This means it can help reduce inflammation and fight aging through cellular damage repair. Petroleum jelly – Finally there’s this everyday beauty and health aid, which has moisturizing and protective properties to guard lashes while they grow to their full potential. Apply it to clean lashes using a new, clean mascara brush. Keep it on overnight and wash in the morning. Do this petroleum jelly therapy at least three times a week.